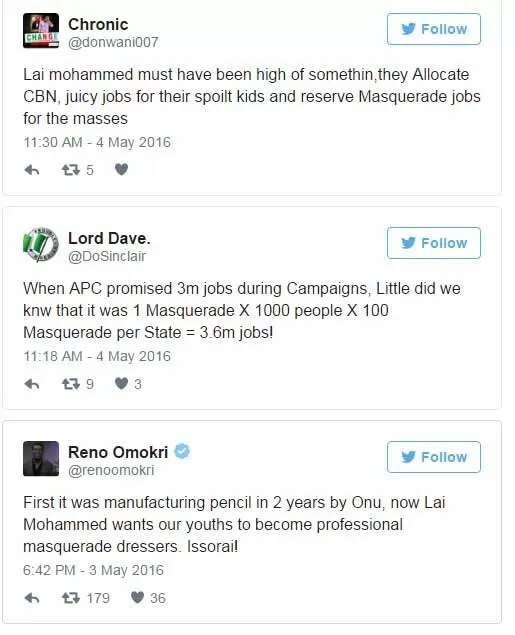 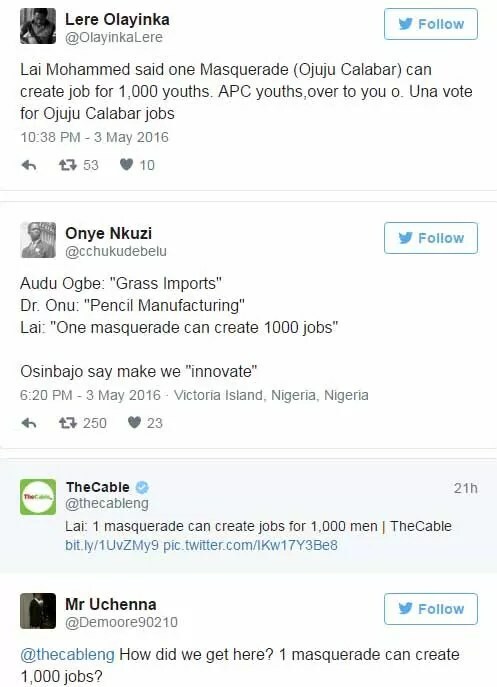 According to News360, Minister of information and Culture Lai Mohammed, says dressing masquerades could create a thousand jobs per week for Nigerian men. 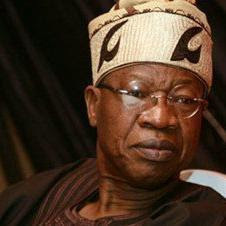 Speaking at the sectoral debate of the Federal House of Representative in Abuja on Tuesday, Mohammed said most states in Nigeria have one festival or the other. 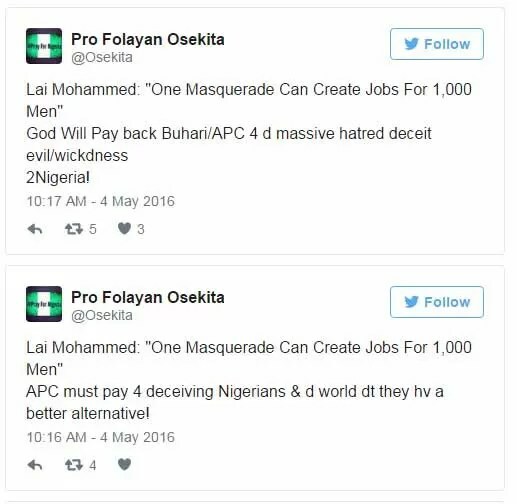 But less than 36 hours after he made the comments, the social media was a buzzed, and Nigerians took to Twitter to slam the minister for making what they call an embarrassing comment.